Let's use this thread to post images taken with this camera. Let's leave discussion of technical aspects like gain settings, read noise, etc to the thread titled "ASI1600MM Camera Performance." Please leave discussions of hardware, USB issues and software driver issues to another thread. Here's mine (from another thread). I wish the Southern California marine layer would clear so I could post some more. 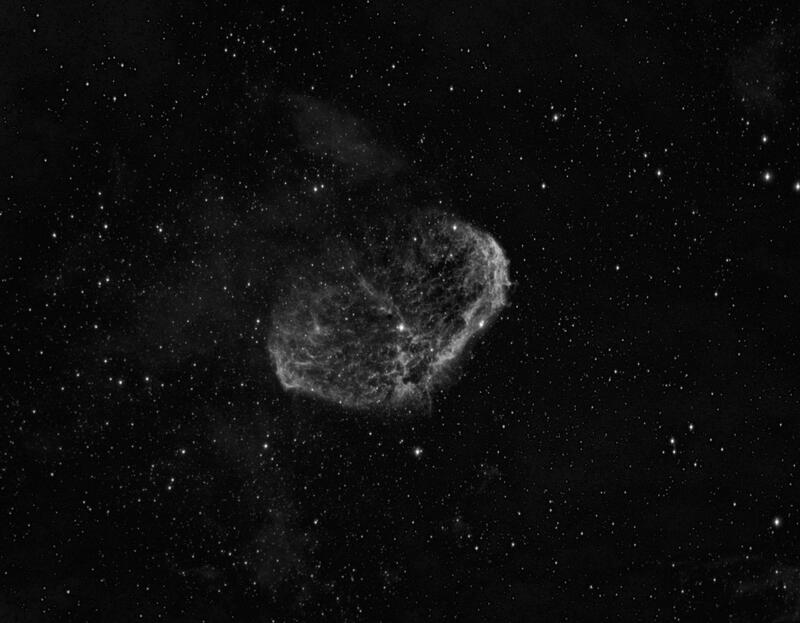 This is 10x10 minutes with a Baader 7nm Ha filter, Tak FSQ 106. Gain was set to 30, offset to 10. Skies were fairly dark with the Milky Way plainly visible. THAT FOV.... Can't wait to put my hands on mine! Cresent in Ha. I plan OII and SII the next night of clear sky. Edited by rkayakr, 14 June 2016 - 01:47 PM. I will post when I get more data. Hopefully tonight will be good. As many probably already know, I like the fun part of imaging and discussions quite a bit. This will be a good place for some eye candy and recommendations on camera settings by simply looking at peoples posted settings. I also don't mind people going deep into the technical stuff, but the images now have a home and the intent of the thread is a good one. Edited by bigeastro, 14 June 2016 - 03:56 PM. Tolga, those are some great images! I really like the M51. Out of curiosity, have you done some longer exposures and compared the data, maybe 900s? My first. SV80 w/ 0.8 fr/ff. I have been following threads on the ASI1600 for a while, but I've been waiting to see more images. This really makes me want to pull the trigger on one! Great thread, wonderful images everyone! They speak for themselves. Dan, I didn't get to comment in your thread, I love the colors!! This is an ongoing project. But if I can pull off the soap bubble with 300" exposures, why would I want to push it further? It's hard to say whether longer integrations would help without additional information. Also, do you have a narrower-band filter? Edited by JJK, 15 June 2016 - 09:53 AM. It's hard to say whether longer integrations would help without additional information. Also, so you have a narrower-band filter? Unfortunately I don't in 1.25" format. All my 3nm filters are unmounted in my QSI. Same boat! I finally have a truly clear night. 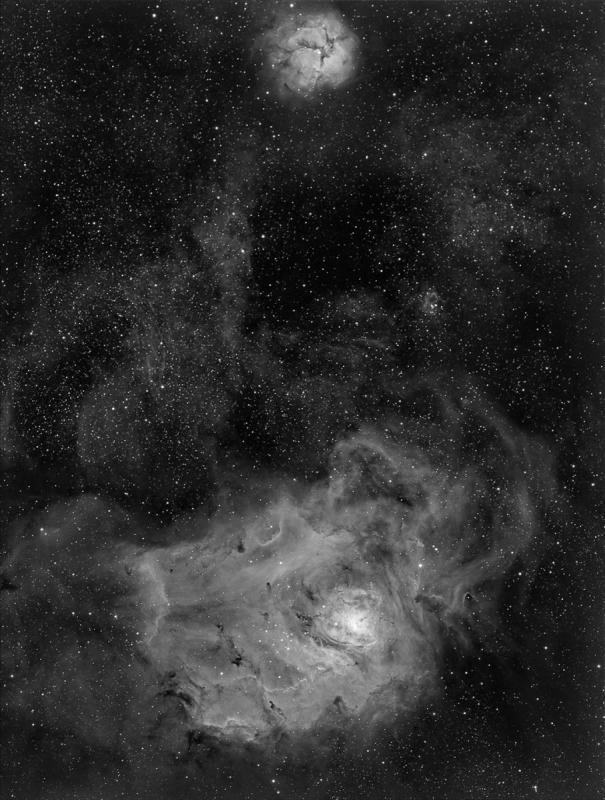 Trying to get my focus offsets and everything else squared away before the nebula top the treetops. Same here with SGP and mono imaging here. I'm coming from using BYEOS with my T3i. 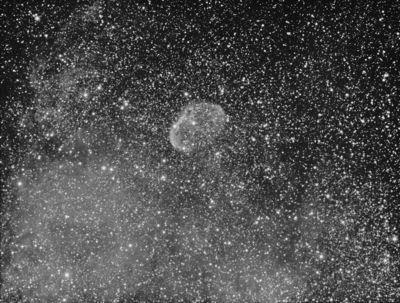 Learning mono imaging and SGP at the same time is a steep climb that's often heartbreaking given the short windows of clear skies I get in NE Ohio. The Cresent Ha above was finally taken using ImagesPlus Camera Control after I failed to get SGP & PHD2 to play together (user error, of course). BTW - I wonder how many copies of SGP the ASI1600mm has sold? I know you guys' pain! I am not sure how I managed to get an image with all the crashing I had. Though I did have 3 straight nights to play with things. I should have had 3 or more times the data! I can't wait to get off shift and start playing with SGP. It looks like a great program. I just hope it keeps working. As for going over 300s I might try it with my OIII to see if I can't get less noisy subs. Though it's probably less to do with the length of the sub and more to do with just getting more. I am so stoked on this camera! Lot's of great images coming from it! I can't wait to see what Jon, jlandy and rkayakr get! Anyone else out there using a basic SCT with the new ASI1600? 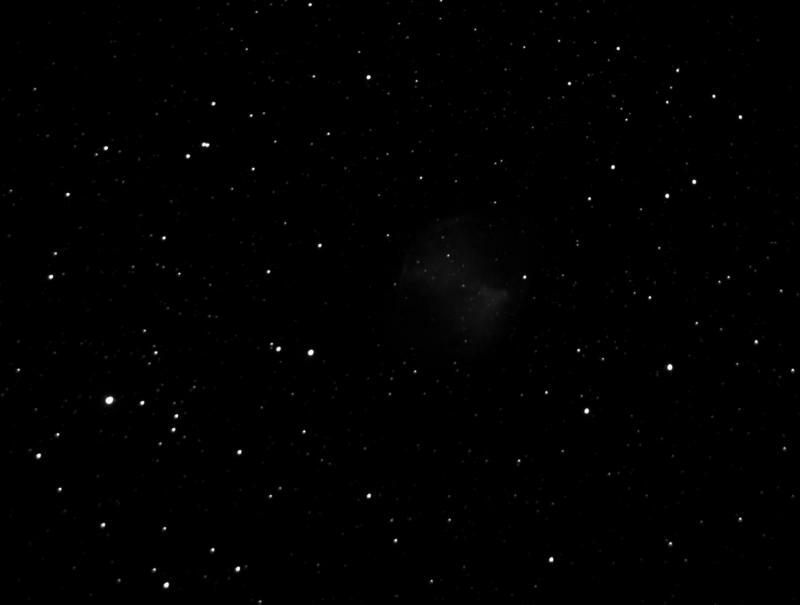 I think I may try F10 imaging as I do not like the stars I am getting in the corners with my old C0.63x reducer. Overall I am still getting some vignetting and my spacing with the reducer is about 78mm and its getting me 0.64x reduction. The only way I can get 100-110mm is to use a diagonal which I reluctant to do. Here is a single 25s Lum frame - raw - converted from fits liberator to .jpg for posting here. What you think? Is it worth it to keep playing with the reducer and distance or should I give up on the SCT unless I am at native F10? Edited by A. Viegas, 15 June 2016 - 09:24 AM. I am seriously considering f/10 on my edge and bin 2x2. On my 8" EdgeHD I preferred f/10. On a non Edge SCT you are going to have curvature issues without a flattener of some sort. I am thinking about trying it on my old C8 (original silver nexstar) both with the 6.3 FR and at f10. But first I am trying to hammer out everything on the widefield scope. But I will, at some point be going to f10 and hunting for planetary nebula. all taken with Skywatcher 250f4 Newtonian on EQ8 and with RCC1 CC - 1.25 filters. all processing in PI (apart from AS!2 stacking). No calibration was used - it isn't really necessary for brighter targets. Edited by Shiraz, 16 June 2016 - 04:02 AM. Great images, can you provide their technical specs? Still struggling with thick clouds, but yesterday was a short window to take at least a couple of frames again, so I decided to take some OIII frames to combine it to my first ever bi-color image. I am quite surprised how clean the image already is for that very short integration time. Hopefully I can get a couple of hours of data, soon. I was getting my mount and autoguider tuned up and working better and the test target was the Crescent, but just through a CLS filter. 27x60s subs. The moon was up and seeing wasn't great. I haven't really started getting into processing yet, this was just using Deep Sky Stacker. I plan to start using a better image processing application soon. ASI1600mm-cool / unity gain / -15C through FSQ-106ED @ F5. I have an old C9.25, but like the others I'm getting used to the 1600 on a fast scope first.